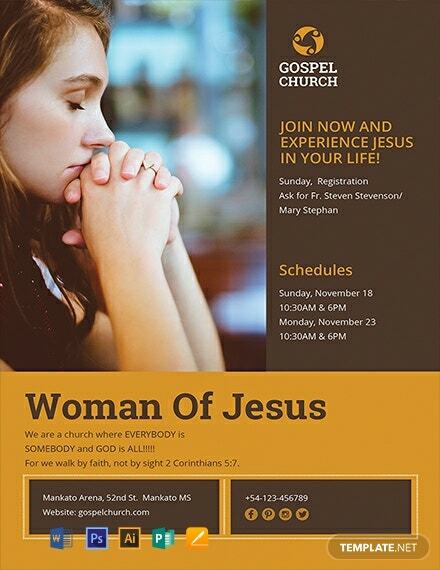 If you are a member of a church as an administrator or church worker, chances are you are tasked with creating a church flyer for an upcoming event. 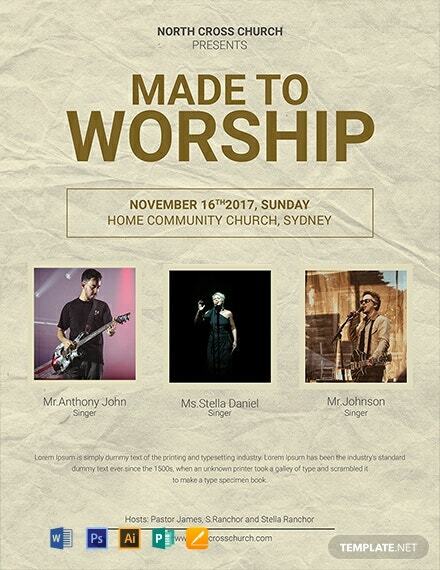 To help you with informing church goers, choose from our selection of flyer templates that you can download for free. These files are ready-made and easy to use for your convenience. They make use of high-quality layout, artwork, images, and graphic files. Print ready, perfect for commercial as well as personal printing. They are also easily editable and can be used in all versions of Adobe Photoshop (psd), Illustrator (.ai), Indesign, Microsoft Word (.doc), Publisher, Apple Pages, Mac and Google Docs. Promotion of church events often greatly help not only the church as an organization but also with the faith and belief of its congregation. 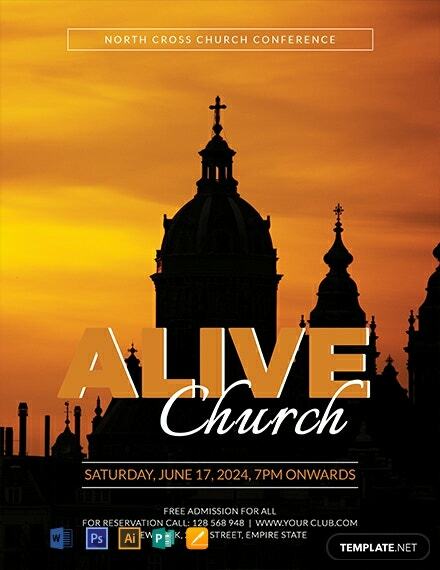 With over centuries of tradition, church events have evolved over time to adapt to the ever present needs of church members. 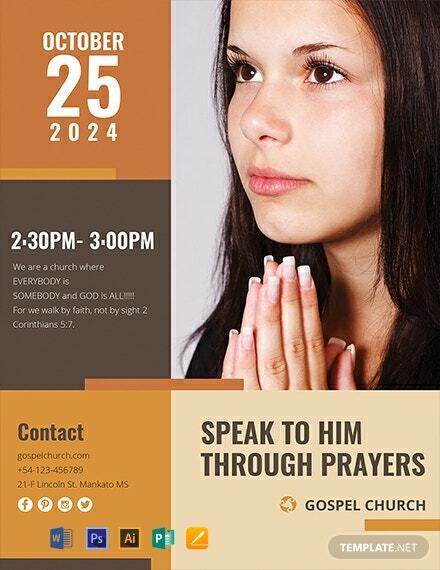 Church flyers are tried and tested tools in advertising and promoting church events. 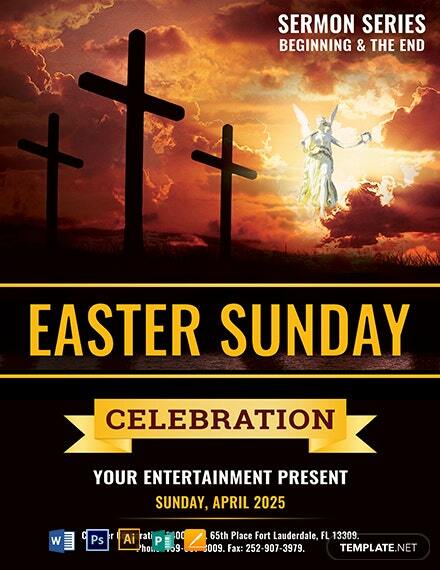 For financial reasons, flyers are relatively cost efficient or cheaper when it comes to promoting and advertising church events. With easily downloadable and printable templates such as the ones on the site, it is fairly convenient and easy printing at home thereby saving a lot of time and money. A lot of information is stored into a single page which can be communicated for the target audience to see for a long time. 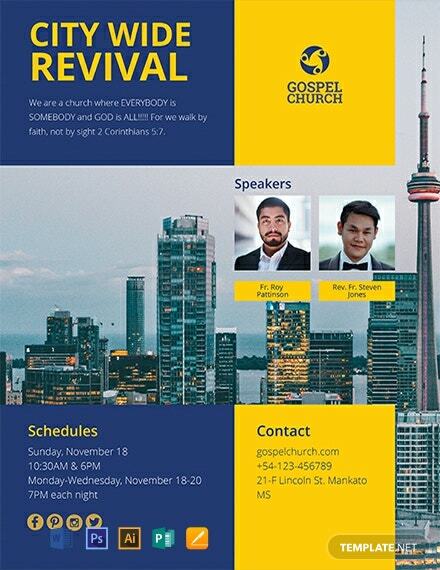 Unlike tv or radio ads, church flyers keep on doing their job of advertising your event without being turned off or changed to another station. Church flyers are mobile. They can be placed anywhere and can reach a distance far and wide. 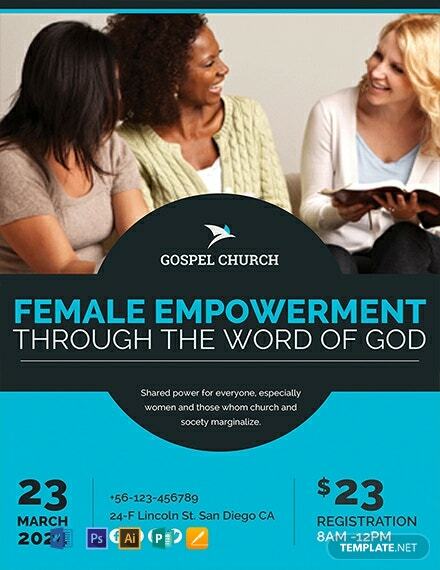 Effective and well designed flyers on the site grab the attention of any target individual or groups of people. It does this with an attractive picture or a catchy slogan or tagline. The site offers fully customizable and eye catching titles with high quality photos perfect for any Christian event, celebration, or anniversary. 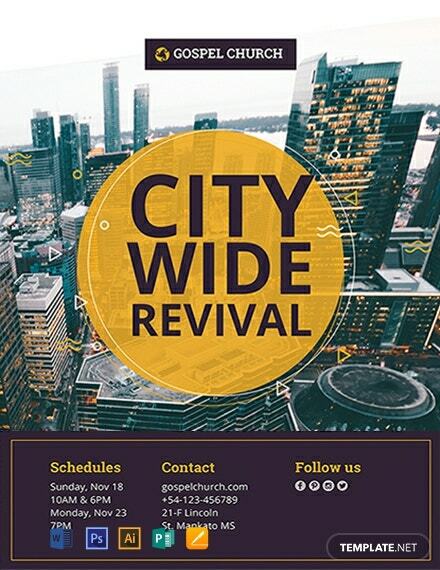 With your church being so busy with so many events and community activities, pre-made and ready to use church flyer templates make life easier and provides a one of a kind convenience you can’t find anywhere else. 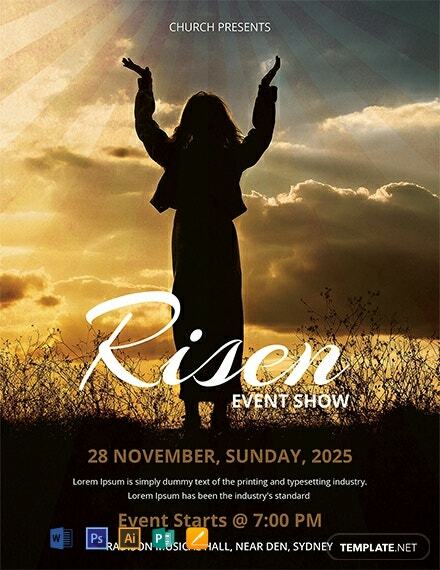 Check out the site for many different expertly designed layouts for any church event or promotion. 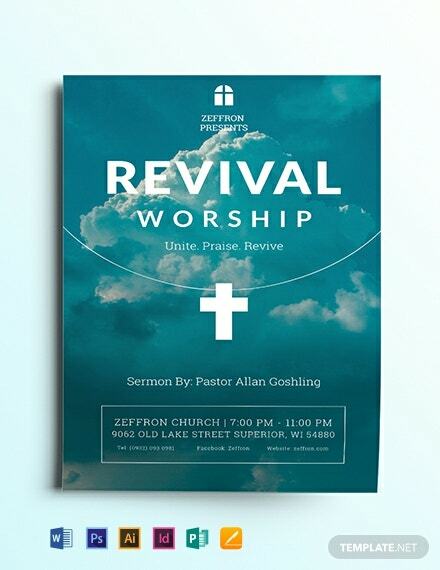 The highly editable, modern church flyer templates are also made instantly downloadable to help you concentrate more on the message you want to incorporate in the design and content of the flyer. With the easy to edit flyers, simply open them using your choice of software application that is compatible with file formats for MS Word, Pages, Publisher and many others.